Casey Hathaway, a 3-year-old boy who went missing Tuesday, was found alive near a Craven County, North Carolina, home on Thursday evening. Officials said the boy was found near the home where he disappeared from and is now at Carolina East Medical Center for evaluation. He was reunited with his family and is in good health, ABC 11 reported. “Casey has been found alive. He was located by professional search and rescue crews off Toler and Aurora Roads. He is in good health, is talking and being evaluated by doctors at Carolina East Medical Center. He is with his family. Thank you all for helping us,” FBI spokesperson Shelley Lynch said. Police had issued missing person alert for the boy on Tuesday. It said the boy was playing near his grandmother's home when he went missing and was wearing a blue coat and dark-colored pants. Craven County Sheriff Chip Hughes said the boy went missing while his grandmother was looking after him and few other children on Tuesday. She informed police after looking for the boy for 45 minutes. Though hundreds of volunteers helped in the search operation on Tuesday and Wednesday, only the professional searchers looked for Hathaway in wooded areas Thursday due to the treacherous terrain and conditions. A helicopter with heat-seeking technology and drones were also used in the operation, CBS 17 reported. FBI officials, the U.S. Marines Corps from nearby bases and state investigators joined the search-and-rescue efforts Wednesday. 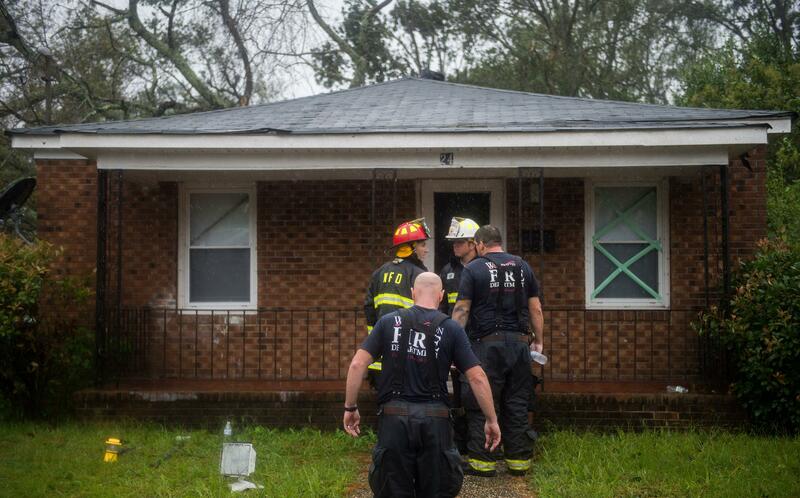 “A number of law enforcement officers are involved as well as 7 search and rescue teams from the Johnston Co SO SAR, Lenoir Co SO SAR, Pender Co SAR, Northeast SAR, Coastal Carolina SAR, Chocowinity SAR, and New Bern Fire and Rescue. K9’s from the State Bureau of Investigation and the National Center for Missing and Exploited Children assisted today. Several ponds on a nearby property were checked on Wednesday and Thursday by swift water teams from local fire departments. Drones flew over many acres nearby. A helicopter from the North Carolina State Highway Patrol will return tomorrow to help with search efforts. It was grounded today because of bad weather,” FBI said in a statement released prior to finding the boy.